If you love the outdoors and haven’t come across the Rough-Stuff Fellowship yet on social media, you really are missing out. The Rough-Stuff Fellowship claims to be the oldest off-road cycling club in the world. We see no reason to doubt this because they started in a pub (the Black Swan) in Leominster in 1955 and are still going today. 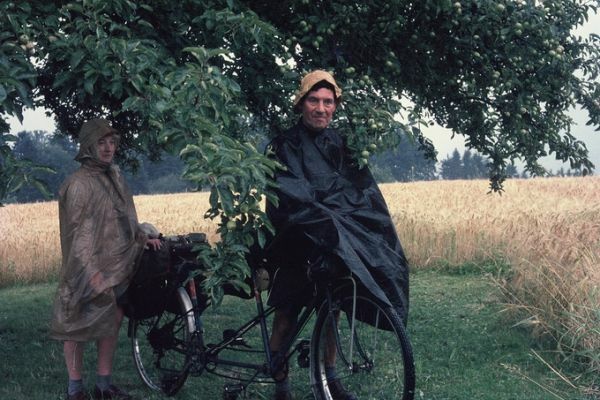 Although Mr B2 is a keen bike packer and off road cyclist, I am not but that hasn’t stopped me from taking enormous pleasure from the Rough-Stuff Fellowship fascinating archive of photographs taken across the UK and the world. These guys (and girls) were quiet pioneers in an age when there weren’t the opportunities to shout about achievements that there are today. 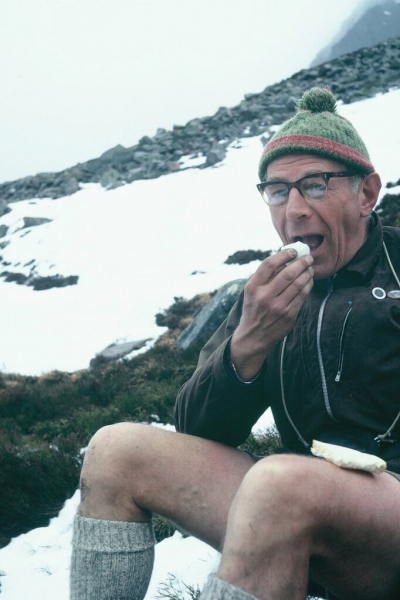 The photos are a fascinating insight into what an outdoor life looked like before the outdoors became an ‘industry’, those I have seen so far have made me laugh, admire, even shed a tear or two and, in part, wish to go back and try the days of boiled eggs, home-knitted bobble hats and capacious ponchos. The club has gathered together such a rich archive of images, hand drawn maps and written memories (many of the photos were slides) that they have decided to employ an archivist to convert and share the club’s history with the world. The Rough-Stuff Instagram account (a daily visit for me) is an absolute treasure trove of memories and indirect social comment, and the club are taking things even further with a new crowd funded book. The book will definitely be gracing the shelves of the B2 ‘adventure room’ and we are eagerly awaiting its hardback, full colour, 200 pages of history, set to include cycling trips to Iceland, Switzerland and Italy as well as the Lake District, the Cairngorms and the Beacons. 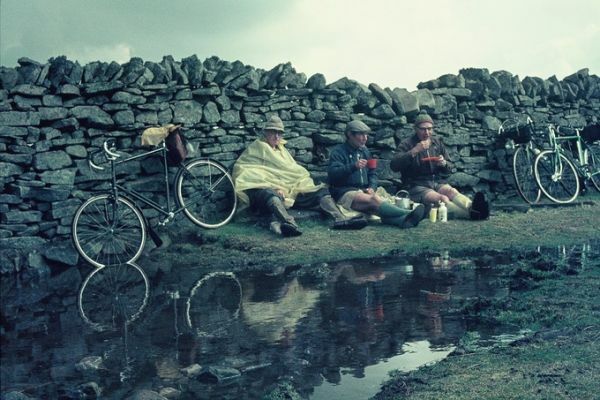 The book,The Rough-Stuff Fellowship Archives: adventures with the world’s oldest off-road cycling club is in the process of being crowd funded (they are doing rather well) and opportunities to own what promises to be fabulous link to outdoor history can be found on the Rough-Stuff Fellowship Archives’ Kickstarter page. I would take a look if I was you… you probably won’t want to miss out! I have a very good friend called Malcolm Lomas who lives in West Yorkshire who is a member of the Rough Stuff Fellowship. We go back to the 60s rock climbing and hill walking. Malcolm completed all the Munros many years ago and he is now eighty five but continues to cycle on a regular basis with the Rough Stiff all over the country. We take our hats off to Malcolm, and to yourself of course!